Hey folks, I received my second Halo Crate this week and it was awesome! Way better than my first one. You can find that earlier blog on the site if you wish. Let’s get started. The theme of this crate was Tactical and featured heavily from Halo 2, my favorite Halo game. The art created for the box focused on Sgt. Johnson. The UNSC Marine was also this months collector figure. Very cool little guy in a neat post leaning on the Guilty Spark. He looks neat next to last boxes Master Chief. We also got coffee mug that I assume Johnson would have loved. It has an “I ❤️ tanks” motif with the fun as hell to drive Scorpion. I’m bound to enjoy lots of coffee in that mug. We also got the every box weapon pin, this time a Brute rifle. Apparently there was a gold variant. Love these socks! Love them so much I hate to wear them because I wanna have them forever. Lastly we got the shirt, again very Arbiter specific, but it’s like a deep cut from one of your favorite bands. It’s the Arbiter Mark of Shame he received at the beginning of Halo 2. Simple but iconic. Love it! So just a fantastic subscription box from Loot Crate. The next box is in May and it’s Arena themed. Author mburnsohPosted on March 24, 2018 Categories Saturday, UncategorizedTags 343industries, arbiter, Gaming, halo, halo2, halocrate, lootcrate, MasterChief, subscriptionbox, XboxLeave a comment on Halo Tactical Legendary Crate. Hey everyone, happy Saturday to you all. Today I’m going to review the latest Halo Legendary Crate from Loot Crate. Loot Crate had a massive holiday sale so I decided to finally have a go at a subscription. If your unfamiliar with the concept, Loot Crate and other subscription boxes offer a box of goodies, usually unknown until the box arrives, on a reoccurring schedule. There are various boxes ranging from general geekery to gaming or even fitness. I have had many boxes before and j highly recommend the Funko boxes. Today is Halo so let’s get into it. The them of this box was the Great Journey,.which is mainly the Covenant’ s march across the galaxy culminating in the final battle of Halo 3. When you first open the box you are greeted by beautiful art featuring the Arbiter, one of my favorite characters. Inside box there is a Mongoose T-shirt with 2 red Spartans on board. Pretty neat shirt with a cool logo that kinda has motorsports feel to it. Next up in the box is a figure, each box had a figure inside, this time it’s Master Chief as he’s thrown down a shield. This is taken straight from a scene in the original trailer for Halo 3. Next up we get Halo cookie cutters! I figure the idea here was the box originally closed in December, close to Christmas, and the thinking was some Spartan themed cookies for Santa. There’s on for Chief, a rifle, that crappy Covenant Pistol, and the Guilty Spark Liberian dude. Lastly we got a Assault Rifle pin and a badass poster of the Chief and Arbiter that just won’t stay unfilled for anything. All in all a very cool box and I’m looking forward to the next one in Febuary which features a Sgt. Johnson figure and is tactical themed. Thanks for reading everyone and have a great weekend. We start our second round of staff picked album reviews next week so check us out. Lob a Plasma Gernade For Me: The HALO Series. Happy Christmas weekend everyone, I’ve been back into some serious Halo gaming on my Xbox One over the last few weeks. Love the franchise so much. Hard to believe it’s been around nearly 17 years. I remember one of my first Black Friday shopping experiences was waiting in line at Best Buy to buy the first one for 20 bucks. I played through the first game with one of my friends and I had developed infected tonsils near the end of the game. We were both pretty excited to beat the game but I was running a fever and had missed work. That did not deture my friend Mike. He eventually showed up with a large coffee and we got back to it and eventually saved the galaxy. 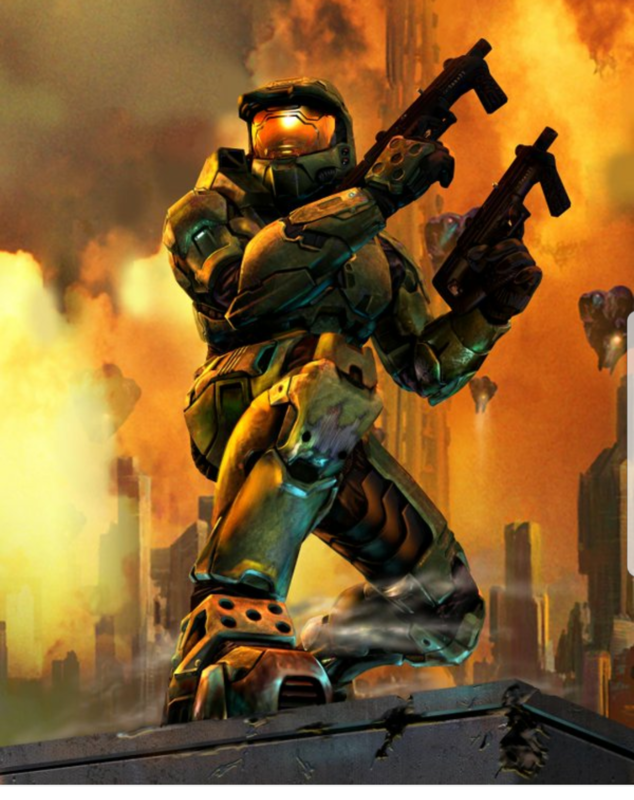 Have you played and beat the first Halo? Man what an ending! Eventually Halo 2 came along and it was the first deluxe game I had purchased. It came in a steel case which was a new idea at the time. The game play had been ratcheted up to allow “dual weild” which was awesome. Now Master Chief could carry two guns at the same time. Very badass. The best new feature of Halo 2 was the broading of the story and cast. 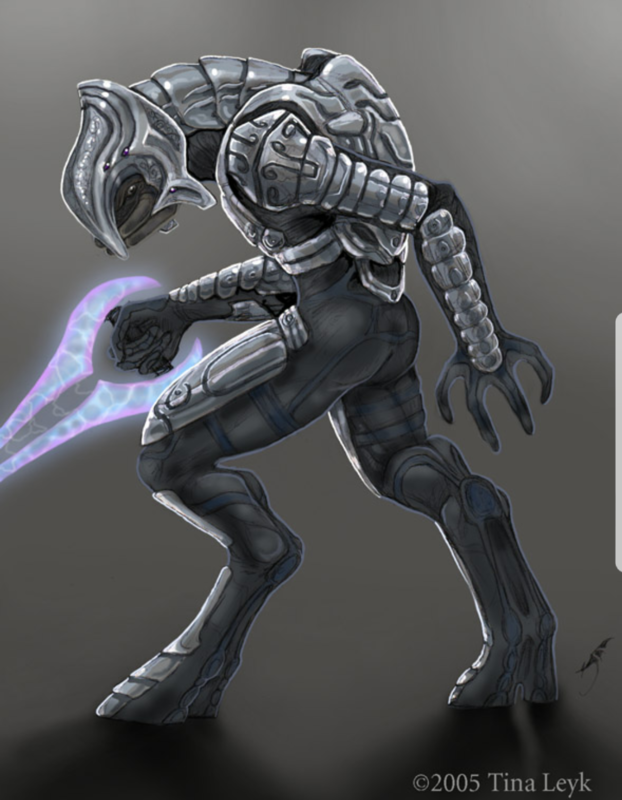 The story for part 2 introduced us to the Arbiter. A Elite whom was stripped of his rank as a result of Master Chief’s success in the first game. The whole story really dug into the extensive back story of the Covenant forces you’d been fighting against to give us their motivations and depth. Plus Energy Swords. Totally love Energy Swords. Halo 3 would come along and bring an end to the war between the Covenant and Humanity with Master Chief and his A.I. counter-part Cortana seemingly lost after the battle. Folks who beat the game on Legendary, the hardest mode, or just watched someone else do it on YouTube knew the Chief had actually survived. The franchise was growing now with successful games, novels, comics, and toys. An Animated Anthology film called Halo Legends also came out. All giving us new characters and back story, building the Halo Universe. New games were released that no longer starred the main protagonist Master Cheif. HALO: ODST which was about the everyday troopers who weren’t Spartans and Halo Wars which was a strategy game featuring UNSC and Covenant forces. The most successful of these games without Master Chief was Halo Reach. An astounding game that is often regarded as the best offering in the entire series. The game is a prequel to the series and takes place in the opening battle of the war with the Covenant on the outpost planet of Reach. You take the role of a new member of Noble Team, and elite Spartan fighting force. I’ve been replaying this game a bit lately and was surprised by how well it holds up and looks amazing on the Xbox One console thanks to backwards capability. 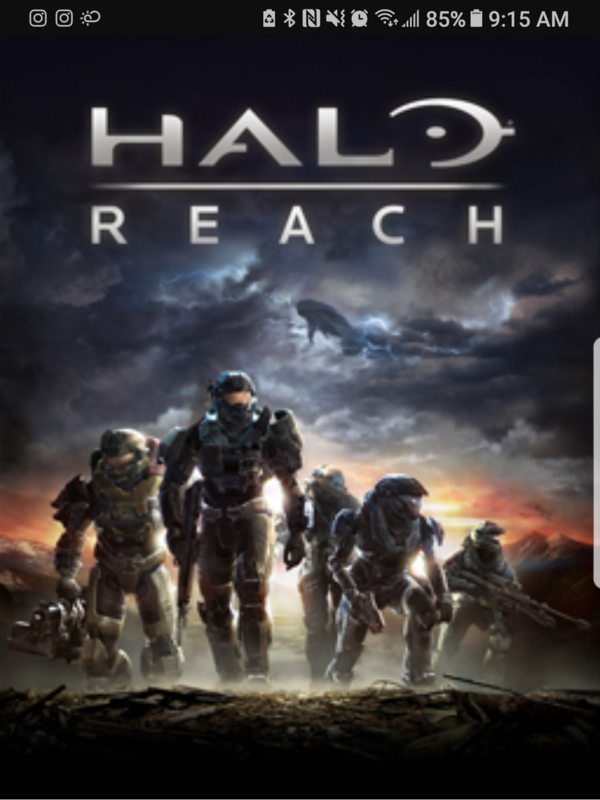 Halo Reach would be the last game from series creators Bungie who would go onto make their own series of new games called Destiny. Master Chief and Halo had become the face of Microsoft’s gaming platform and once Bungie was done Microsoft brought the franchise in house and 343 Studios took over. They delivered the awesome Halo 4 which dealt with a new threat to humanity, the Forerunners. Well actually it wasn’t all the Forrunners just the Didact and his crew of Promethean warriors. Halo 5 Guardians has been the latest release in the series and while the multiplayer is a blast the Campaign mode is kind a meh. It’s 10 missions and you only get to be Master Chief for 3 of those. Mostly you are Spartan Locke played by Mike Colter of Luke Cage and Marvel’ s Defenders fame. For the most part your old buddy Cortana is now the big bad. Hopefully Halo 6 will make up for 5’s story shortcomings. Halo is alive and well after all this time. The community of fans is large. Microsoft named their personal assistant on their devices Cortana. Loot Crate now offers a bi-monthly Halo Crate which I’ve just subscribed too. Maybe I’ll do a review of that first crate when it arrives. 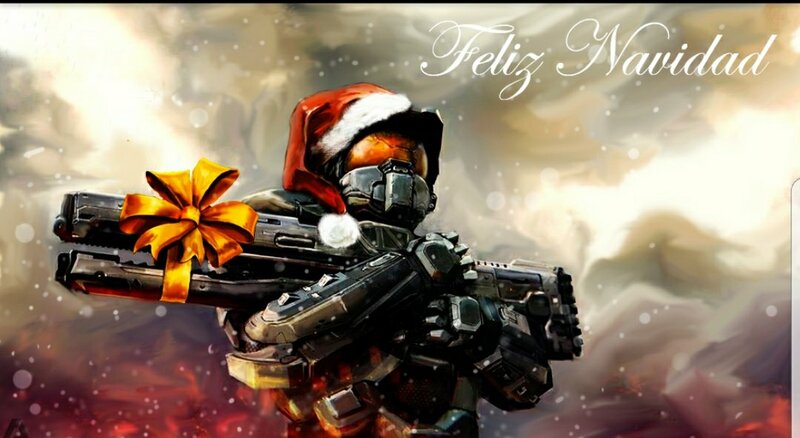 Until then keep your shields up and ammo loaded and have a Merry Christmas. Author mburnsohPosted on December 23, 2017 December 24, 2017 Categories UncategorizedTags 343studios, arbiter, Bungie, halo, halo reach, Loot crate, MasterChief, Saturday, unsc, videogames, Xbox, xbox360, xboxoneLeave a comment on Lob a Plasma Gernade For Me: The HALO Series.